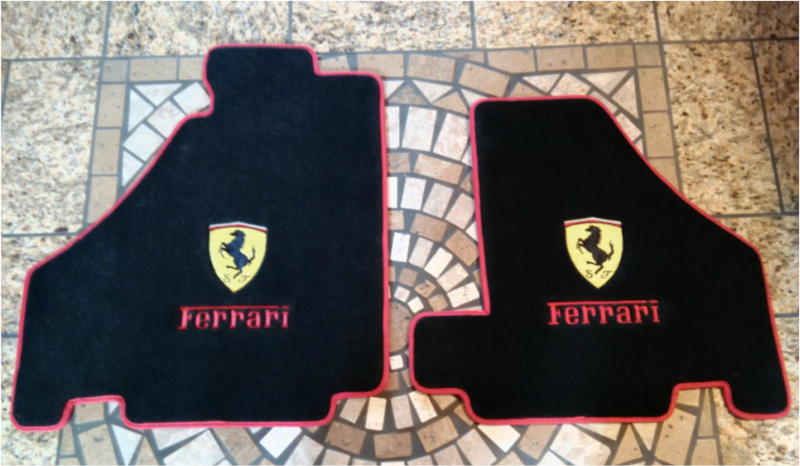 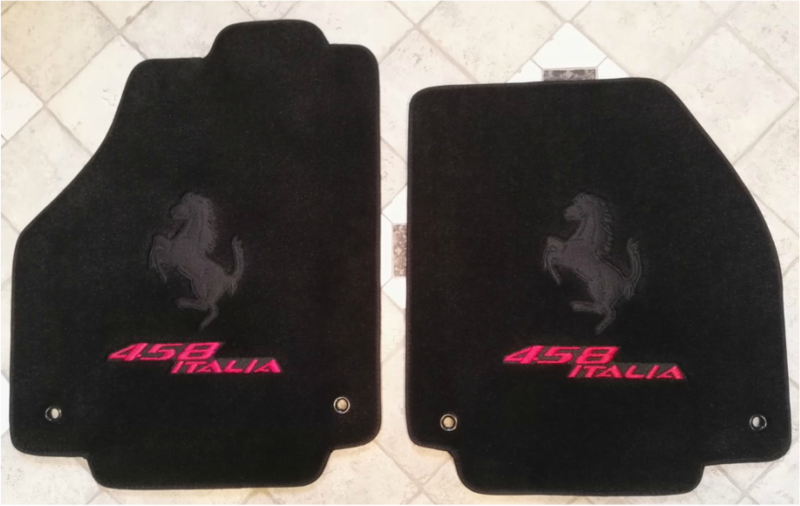 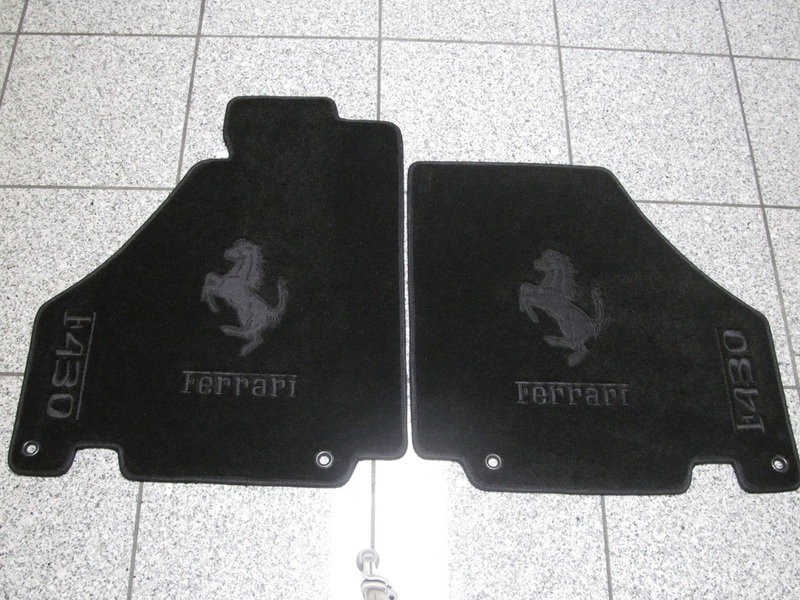 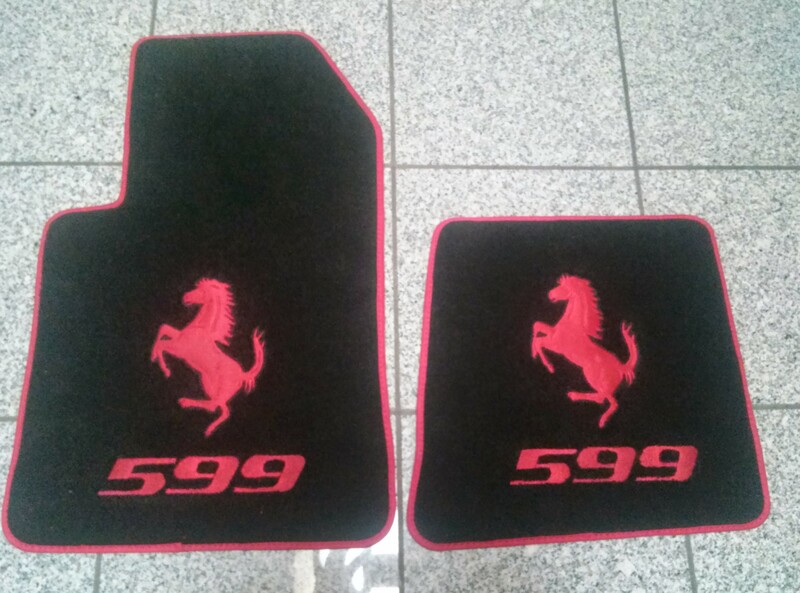 ​PERSONALIZE YOUR FERRARI WITH CUSTOM FLOOR MATS, THESE ARE MANUFACTURED TO THE QUALITY YOU WOULD EXPECT FOR YOUR EXOTIC CAR. 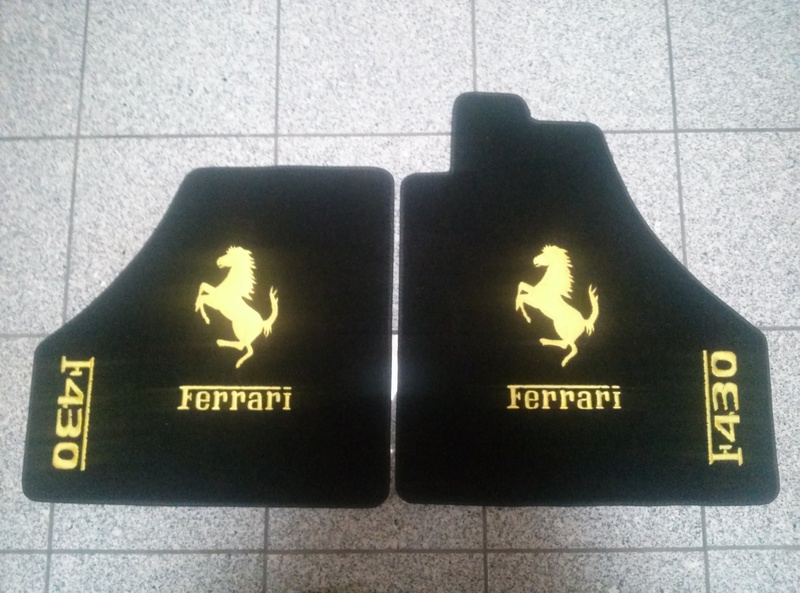 AVAILABLE FOR LEFT AND RIGHT HAND DRIVE FERRARI'S FOR ALL YEARS AND MODELS WITH YOUR CHOICE OF OUTER BINDING / PIPING COLOR AT NO EXTRA CHARGE. 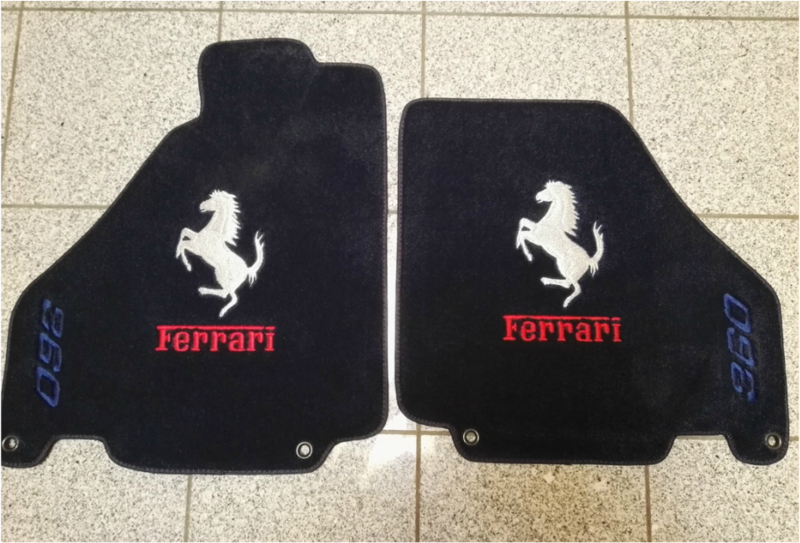 OPTIONS SUCH AS FIRE EXTINGUISHER CUT OUTS, SHORTENED VERSION PASSENGER SIDE MATS FOR FERRARI CALIFORNIA IS AVAILABLE AT NO EXTRA CHARGE. 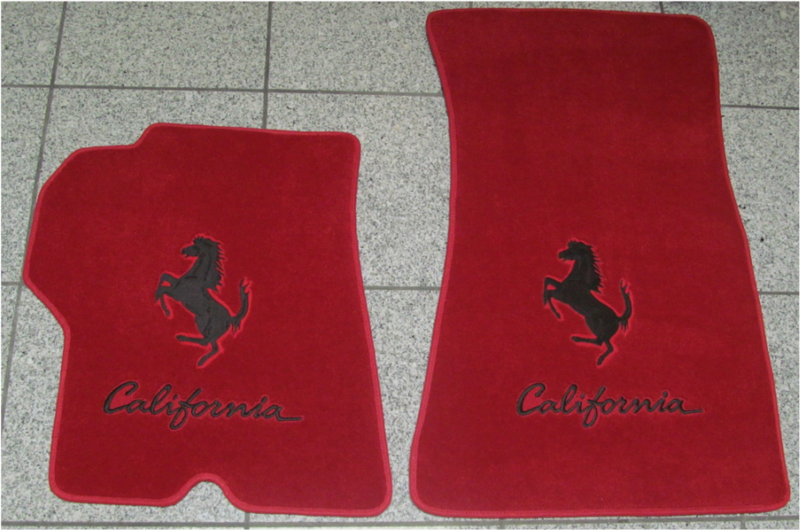 Binding is made is 1.125" 100% knit beam-dyed polyester. 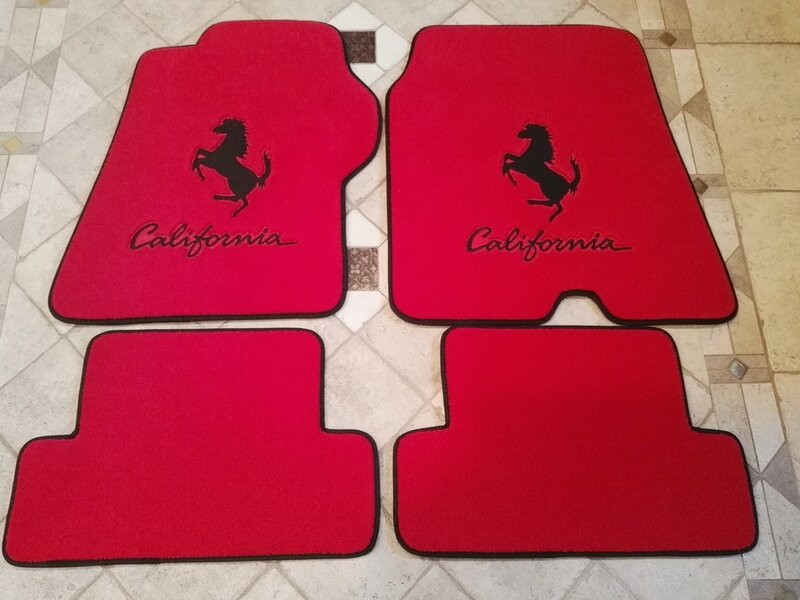 Available for ALL Ferrari Maserati & Lamborghini models in all Ferrari, Maserati and Lamborghini colors in any color combinations custom color bindings, custom color stitching. 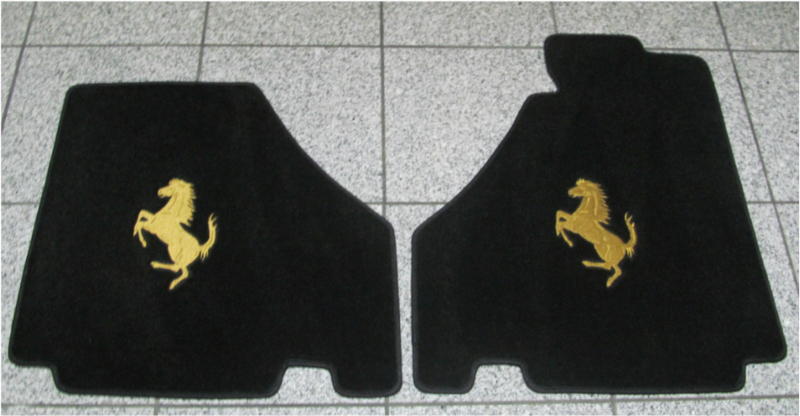 ​PDF view of our tan / beige colors that we have in stock, its alway best to e mail us or text a picture of your current carpet color so we can match it.